The “Villa Blanca” is a private a luxury villa located at the highest point of the traditional village Megalochori with panoramic view of it and the Aegean sea. 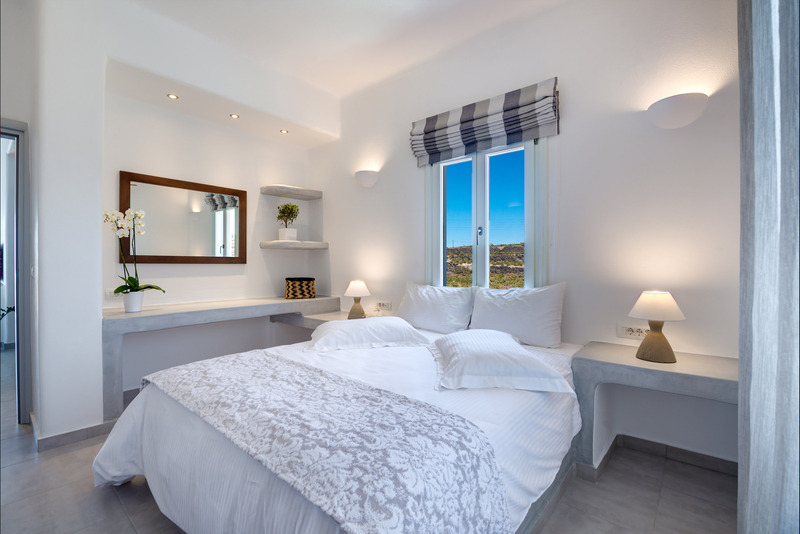 It is a new residence, built in 2016 in a traditional Cycladic architecture with modern touches while respecting the tradition of the village. Villa Blanca is located in the center of our family vineyard which takes place from the 18th century located just 6 km from the capital “Fira” and 500m from the popular Caldera and can accommodate 2-5 people offering two bedrooms, living room, kitchen and balcony with jacuzzi and ocean view. We offer our guests exclusive privileges, luxurious treatments and unrivaled personalized services to ensure that they enjoy the most benefits to both the accommodation and the magical island of Santorini. The Blending of modern luxury with traditional craftsmanship created a temple of senses in a dream destination.